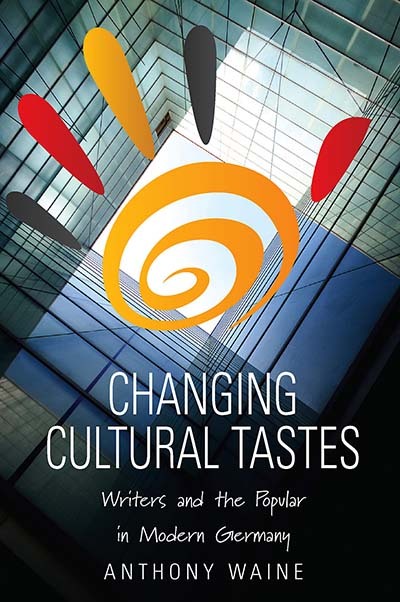 Changing Cultural Tastes offers a critical survey of the taste wars fought over the past two centuries between the intellectual establishment and the common people in Germany. It charts the uneasy relationship of high and popular culture in Germany in the modern era. The impact of National Socialism and the strong influence from Great Britain and the United States are assessed in this cultural history of a changing nation and society. The period 1920-1980 is given special prominence, and the work of significant writers and artists such as Josef von Sternberg and Bertolt Brecht, Elfriede Jelinek and Rolf Dieter Brinkmann, Erwin Piscator and Heinrich Böll, is closely analysed. Their work has reflected changing tastes and, crucially, helped to make taste more pluralistic and democratic. Anthony Waine teaches German and European Studies at Lancaster University, specialising in courses on the cultural history of the twentieth century. His previous publications include Martin Walser: The Development as Dramatist 1950 – 1970; Martin Walser (Autorenbuch); Brecht in Perspective and Culture and Society in the GDR (both co-edited with Graham Bartram). He has also taught at Hamburg University and Wadham College, Oxford, and was awarded the Pilkington Prize for Teaching Excellence in 2000. Popular Culture and Alltagskultur : A Difference of Language?